Our Youth are involved in service projects and fundraisers throughout the year as they prepare for the 2019 National Youth Gathering to be held in Minneapolis, MN. The Youth Gathering provides thousands of youth and adults the opportunity to come together as a community of God’s people to learn more about Jesus Christ, the Christian faith and their Lutheran identity. The Gathering will be held on July 11-15, 2019 in Minneapolis, MN. During the five days of the Gathering, youth spend time together in God’s word, worship, service, and fellowship. Join us November 16 for Trivia Night and Dessert Auction fundraiser for the Youth to support their trip to the 2019 National Youth Gathering. We are currently seeking a Youth Director. If you are interested, please stop by our church office or call the office at 928-526-9578. Watch for information about Youth activities on our calendar and Facebook page. Youth Bible Study – Sundays at 9:45 am (classes are available for youth of all ages). 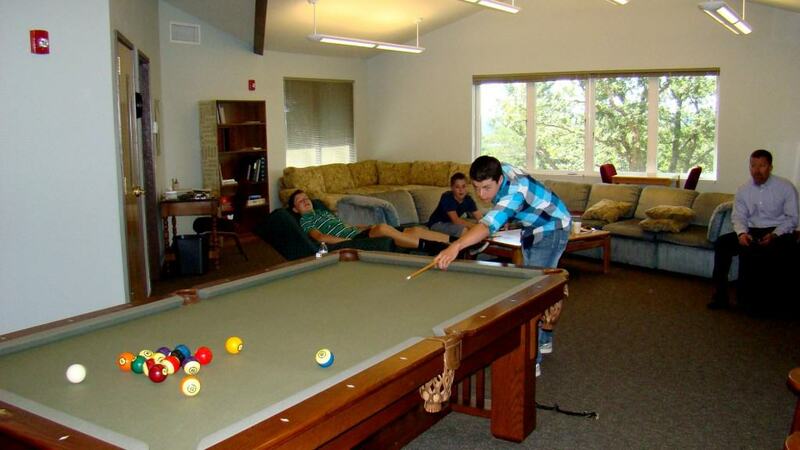 Youth Group is made up of teens in 5th – 12th grades. The Youth Group has a lot of fun while sharing their love of Jesus. Youth Group events include hikes, sports days, movie nights, lock-ins, weekend retreats, laser tag outings, trips to Diamondback games and the zoo, ice skating, ice cream nights, Christian concerts, and yes, homework night! In addition to having a good time, there is time for fellowship and sharing the faith through community service. Our Youth Group regularly attends local and national Christian Youth Gatherings. Come check out our new Youth Room and Sunday School Rooms! Youth Group Service Projects Our youth regularly help out at the Flagstaff Family Food Kitchen. They also recently put together 16 backpacks with school supplies for Lutheran World Relief.